Holiday Lighting is temporary lighting and decorations that are placed outside and/or inside of your home on a seasonal basis as part of celebrating holidays. If lights for your Holiday Lighting are installed on a permanent basis, then you should put a checkmark for 'Outdoor Lighting' as part of your home features in your Home Wizard app. More home fires occur during the winter than at any other time. Damaged or low-quality holiday lights, improper usage, and lack of water for fresh trees are among the most common causes. 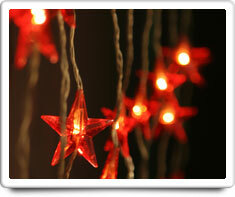 Shown in the 'Routine Care' section are the recommended routine maintenance tasks for your holiday lighting. The 'Q & A' section shows answers to common questions. And the 'Articles' section provides helpful articles about your holiday lighting.